American Airlines says it has fixed a technology problem that was grounding flights from Miami, Dallas and Chicago on Thursday. The airline said on Twitter that its connectivity issues were resolved and that passengers would be on their way soon. 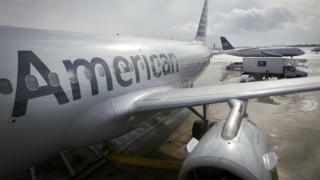 The FAA said the airline had requested to hold departures at the Miami, Dallas Fort-Worth and Chicago O'Hare airports. The hold began about 1200 local time in Miami (1600 GMT). In response to customers' complaints on Twitter, the airline said it was having technical issues. Passengers hoping to get to their destinations on time were not hesitating to tell the airline they were unhappy. It appears the website had not been working for some customers, as well.